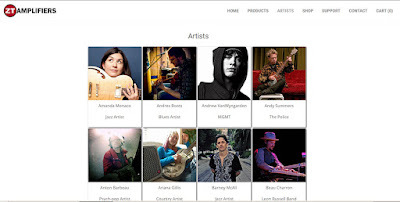 Andres Roots has been using ZT Amplifiers' Lunchbox amp for over a year now and he's now officially a ZT Artist - along with Andy Summers, Billy Gibbons, Jason Newsted, Jeff Tweedy, Julian Lage, Mem Shannon, Nels Cline, Thurston Moore and many others - check out the complete list here! Here's a clip from last Friday in Riga, Latvia with Raul Terep, the Lunchbox used in combination with an Ampeg bass combo - below, a solo clip from April with just the Lunchbox; the PA was *not* used in either case. On Monday, December 5, 5:30 p.m. (GMT +2), tune in to Kesk-Eesti Tre Raadio for a live phone interview with Andres Roots on the subject of his new album "Winter".